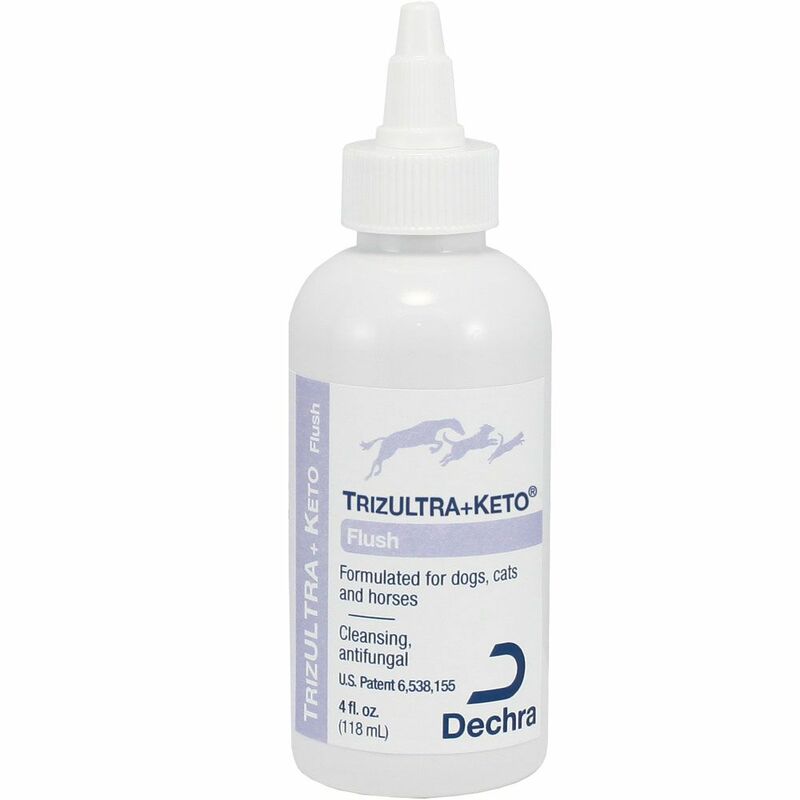 DECHRA TrizUltra +Keto is a Ketoconazole multicleanse flush for Topical, antifungal, and antibacterial use for dogs, cats, and horses. Contains Tromethamine (Tris) USP, Edetate Disodium Dihydrate (EDTA) USP, buffered to pH 8 with Tromethamine HCL and deionized water. Apply liberally to affected area, gently but firmly massage. Repeat as necessary or as directed by a veterinarian. For topical use only. Avoid contact with eyes or mucous membranes. If undue ear or skin irritation develops or increases, discontinue use and consult a veterinarian. Keep out of reach of children and pets. Wash hands after using.